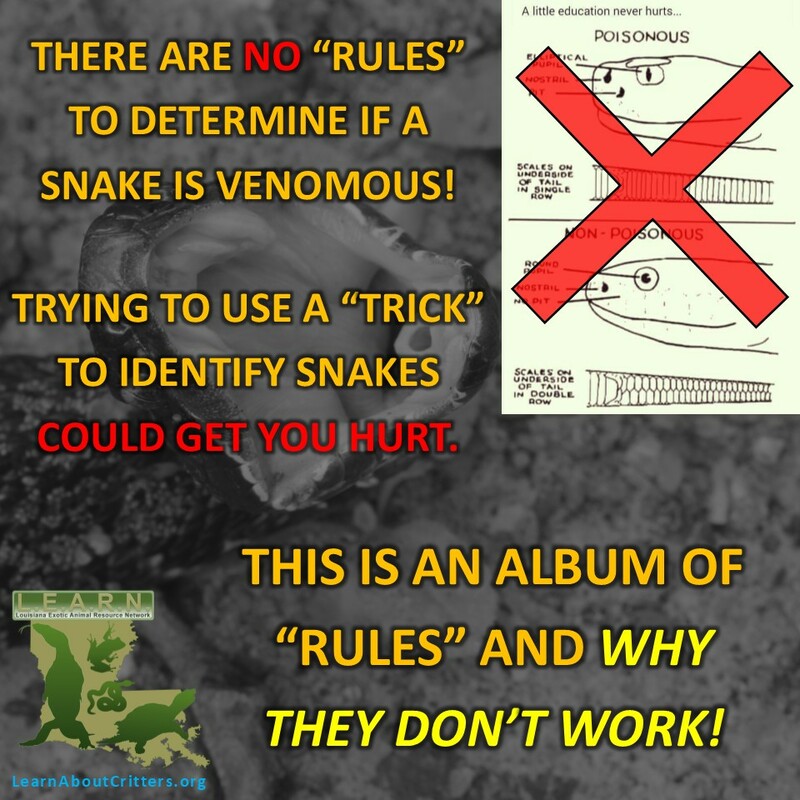 Venomous Snake Identification ~ Forget The Rules! 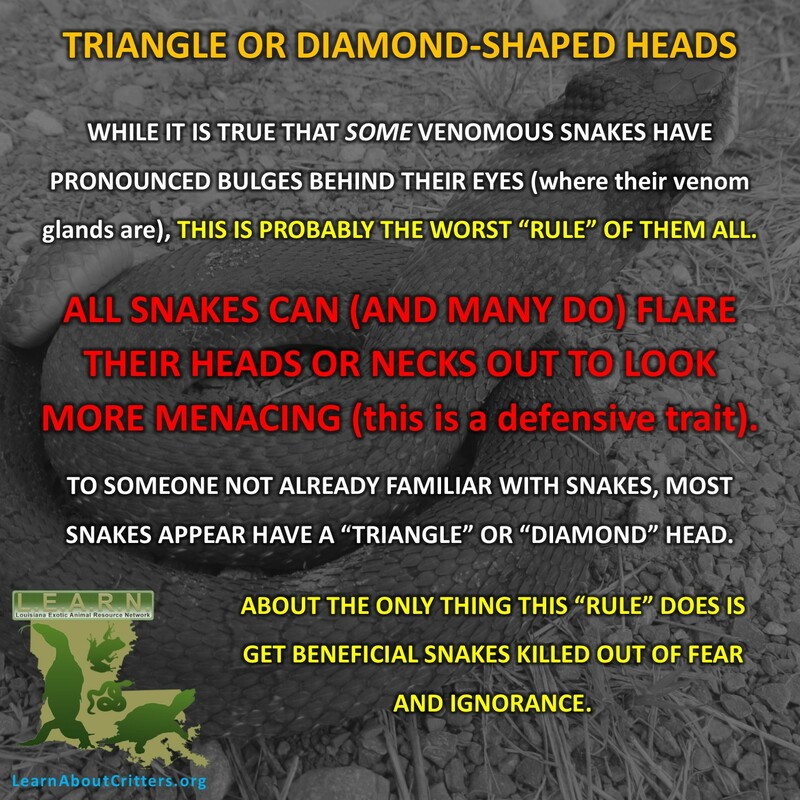 Some parts of the world may have simple rules that enable the novice to tell at a glance whether a snake is venomous. 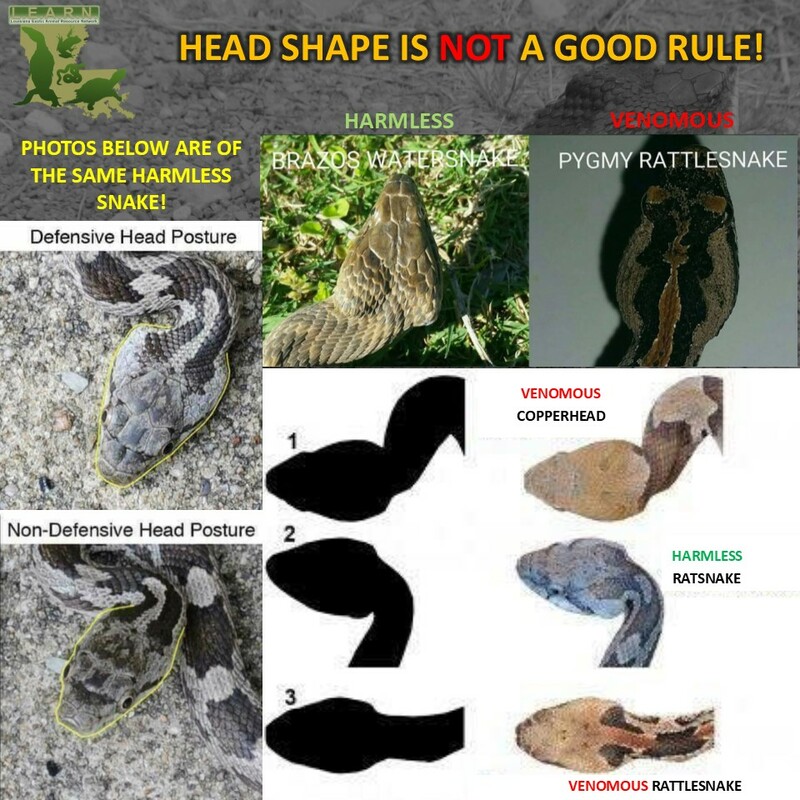 However, that is not the case in most areas, and certainly not in most of the U.S. You have probably heard several “tricks,” such as looking for “cat eyes” or “triangle heads.” Please beware of resting in such simplicity! 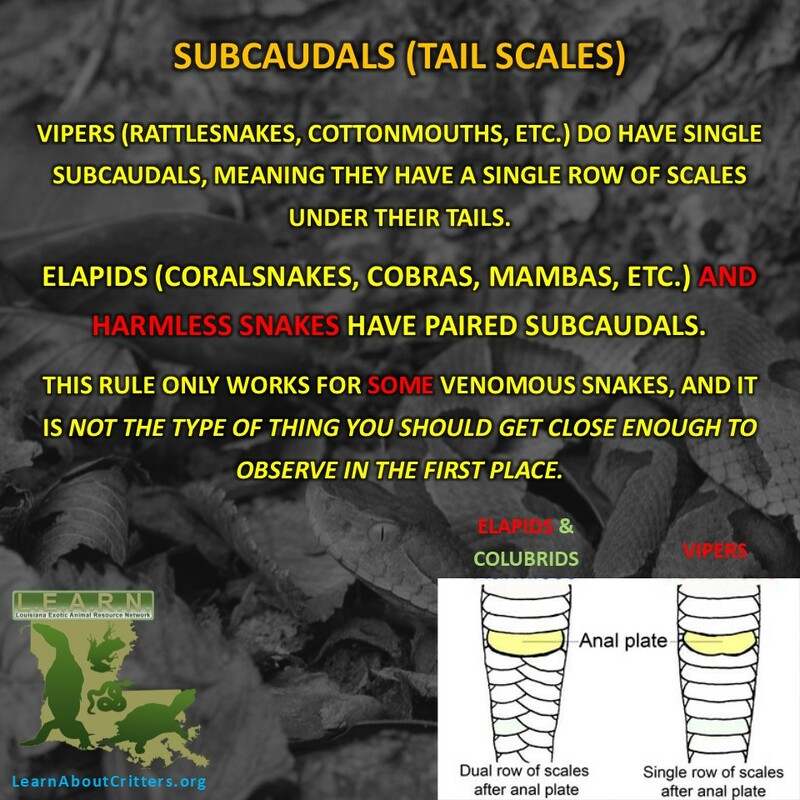 While some guidelines may enable the studious observer to consider the totality of an unfamiliar reptile and make an educated guess as to its nature, the simplest and best course of action is to take the time to become familiar with the venomous serpents in your area This is not a particularly challenging task—only ~20% percent of the world’s snake species are venomous (depending on your definition), with many areas having but a small handful. Here are some rules and why they so often don’t work. 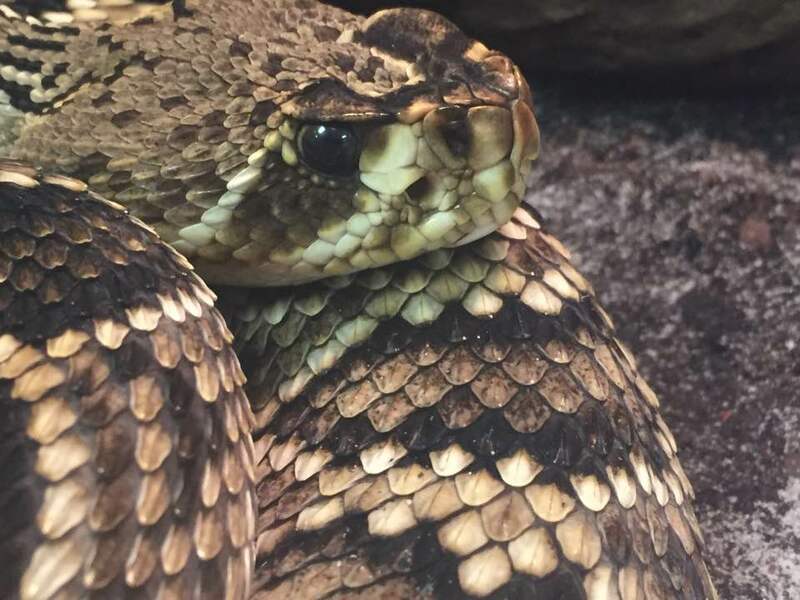 Viperids such as rattlesnakes or adders do have elliptical pupils; however, many harmless snakes also possess this feature. 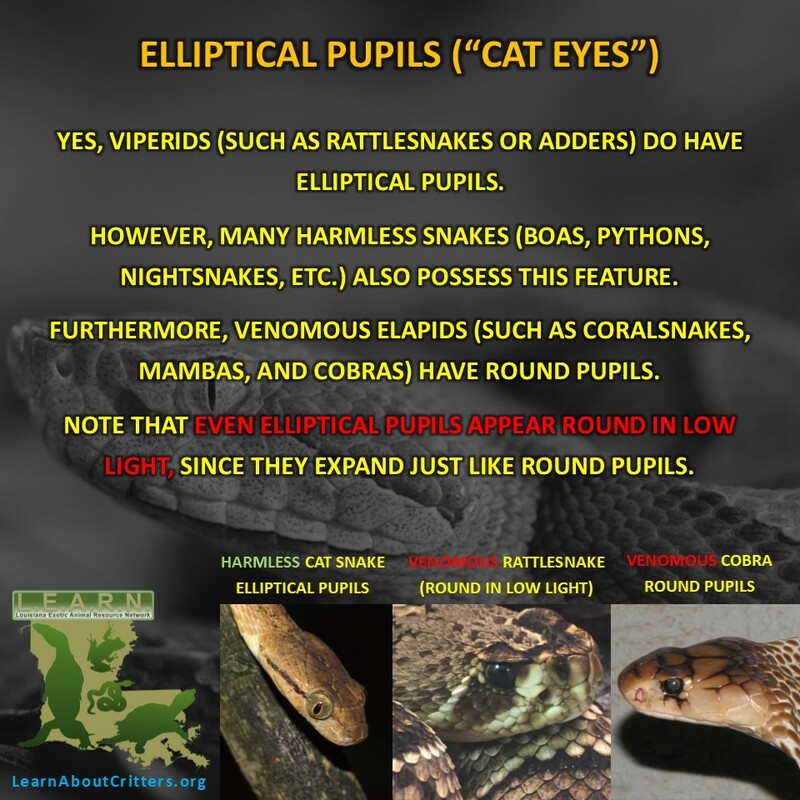 Furthermore, many venomous snakes (elapids) have round pupils. As if that wasn’t enough—even elliptical pupils appear round in low light since they expand just like round pupils. 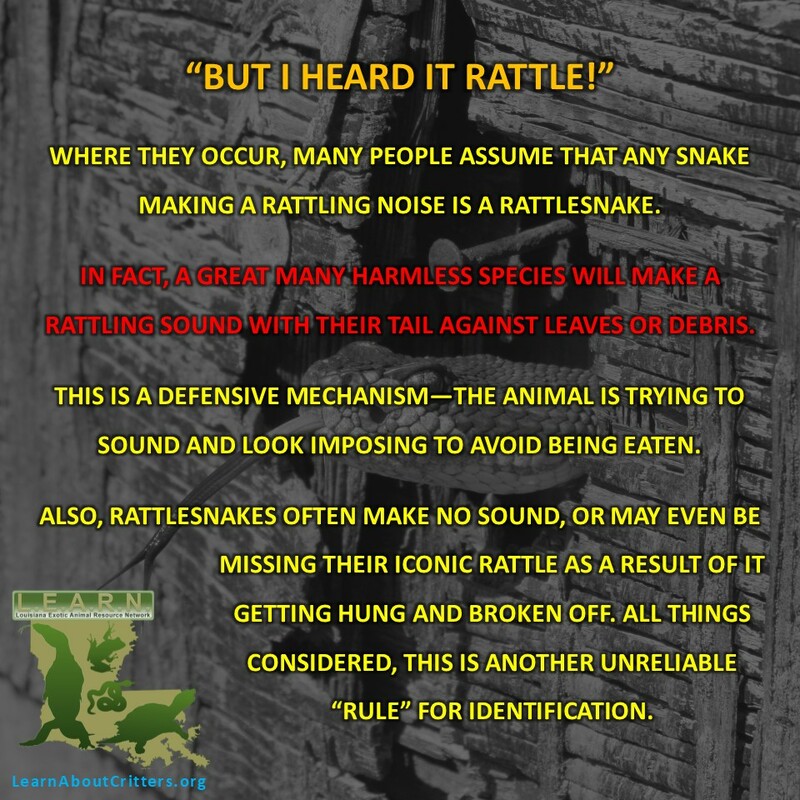 Where rattlesnakes occur, many people assume that any snake making a rattling noise is automatically a rattlesnake. 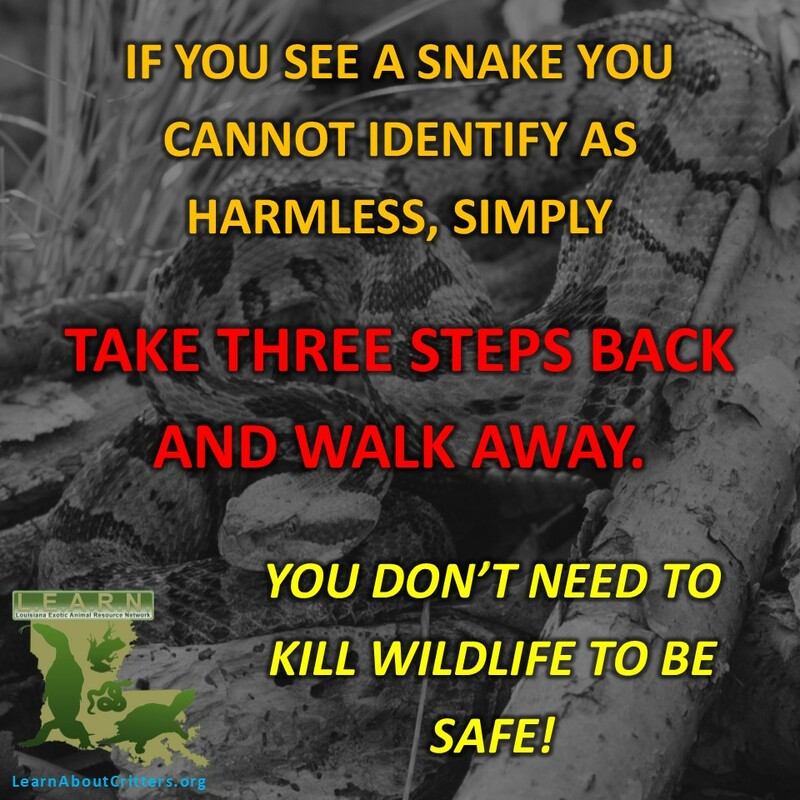 In fact, a great many harmless species will make a rattling sound with their tail against leaves or debris. Again, this is a defensive mechanism—the animal is trying to sound and look as imposing as possible in response to being approached by an unfamiliar animal many times their size. 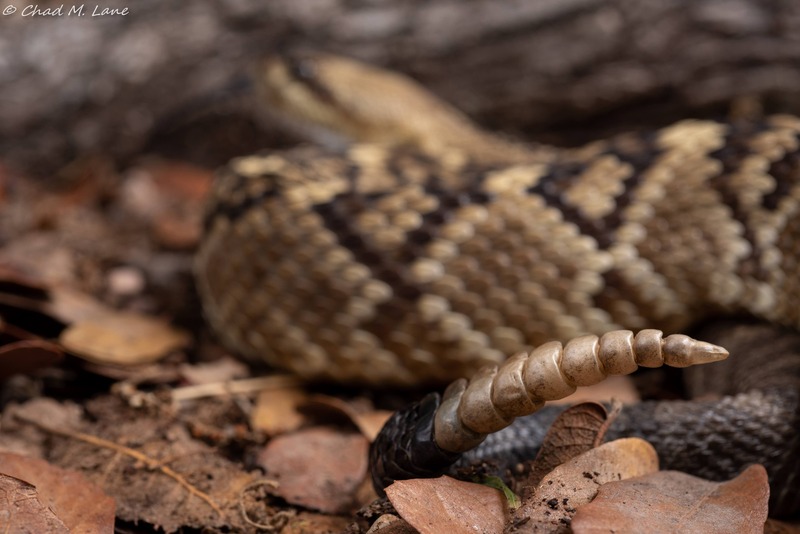 On the other hand, rattlesnakes often make no sound, or may even be missing their iconic rattle as a result of it getting hung and broken off. All things considered, this is another unreliable “rule” for identification. 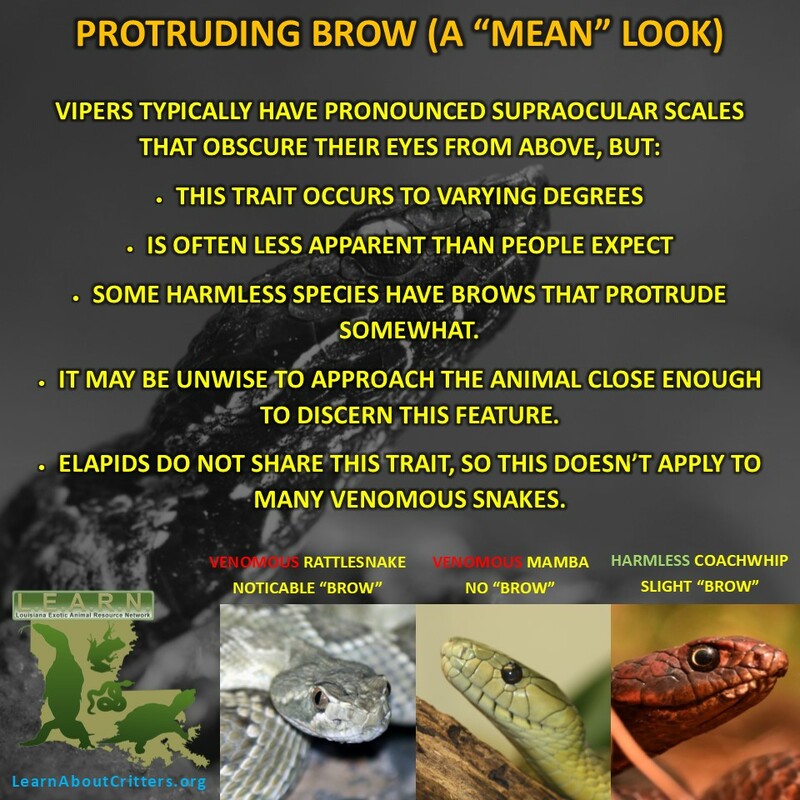 While it is true that viperids typically have pronounced brow lines that obscure their eyes from above, this trait occurs to varying degrees and is often less apparent than people might wish. Furthermore, some harmless species have brows that protrude somewhat. It may also be unwise to approach the animal close enough to discern this feature. 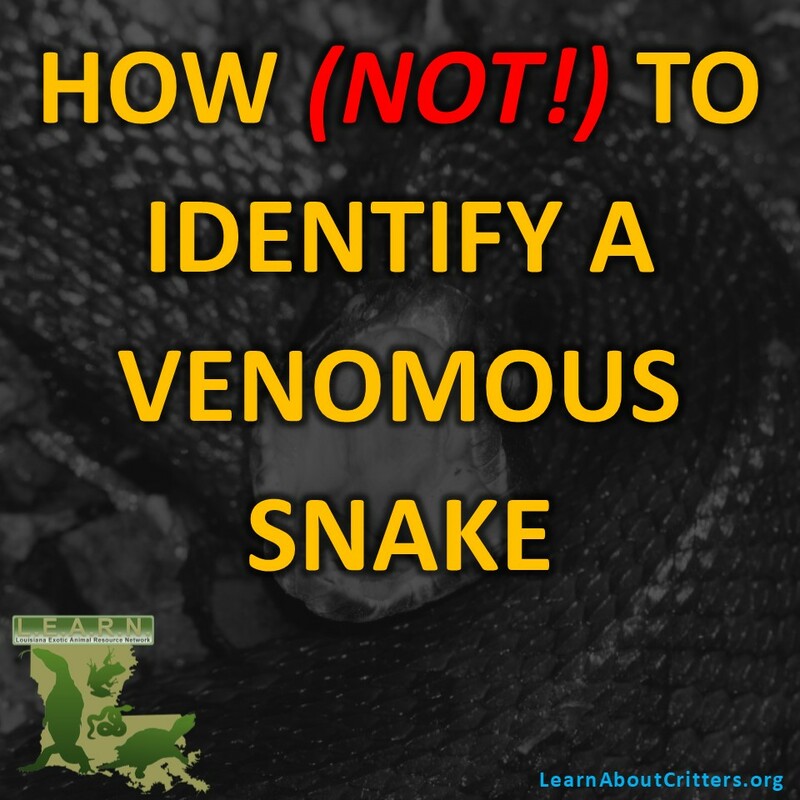 Yet again, elapids do not share this trait, so even when this guideline is correctly applied, it does not assist with the identification of many venomous snakes. 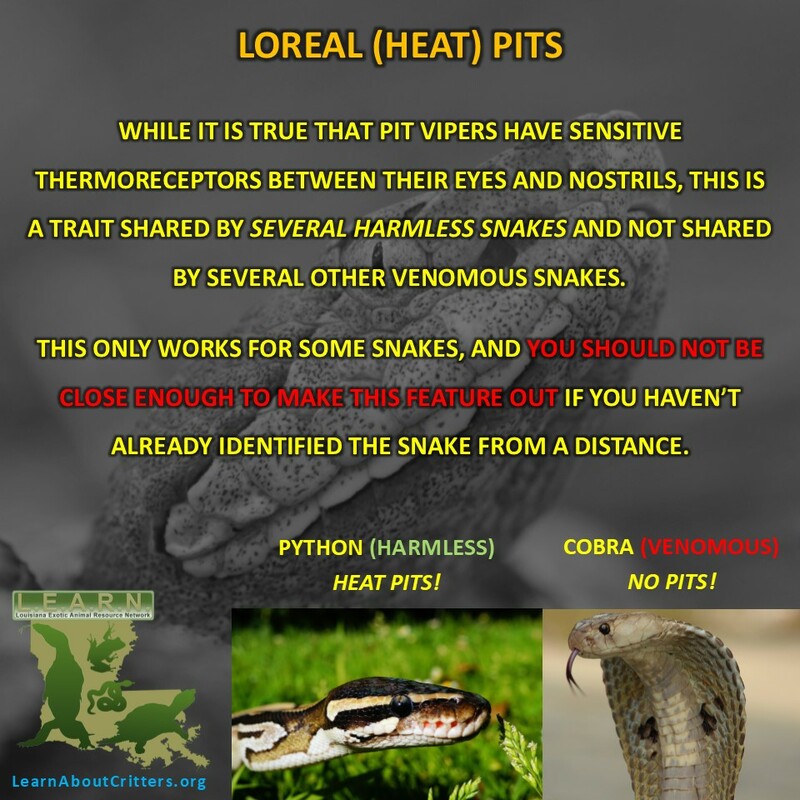 While it is true that pit vipers have sensitive thermoreceptors in pits between their eyes and nostrils, many harmless snakes around the world also have thermoreceptors, and many other venomous snakes do not possess them. Although the rhyme to differentiate coralsnakes from their mimics usually works in some areas, it is fraught with exceptions. 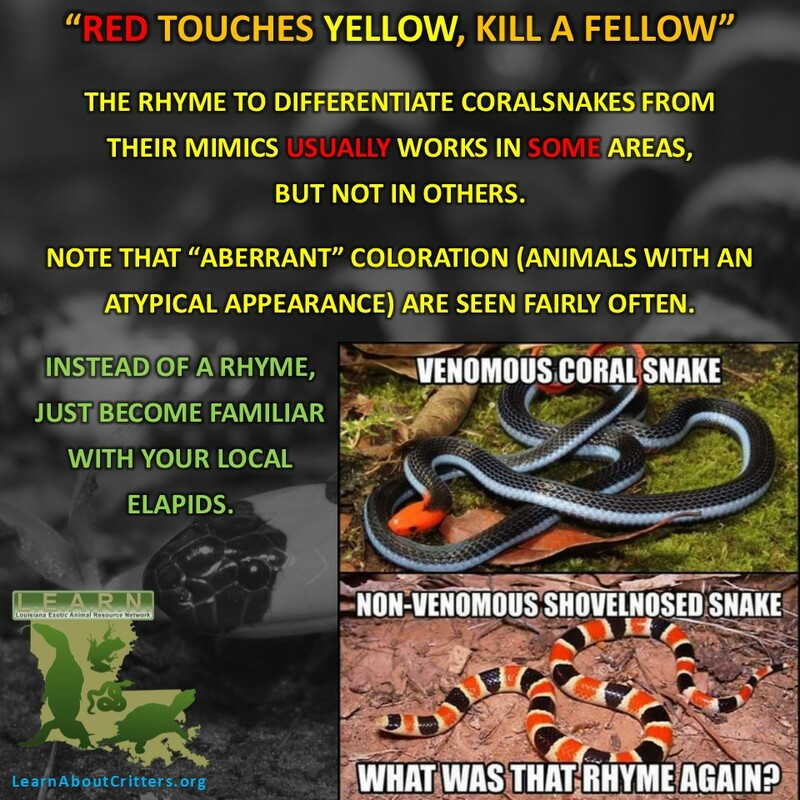 Instead of researching this rhyme, just become confidently familiar with all your local elapids. 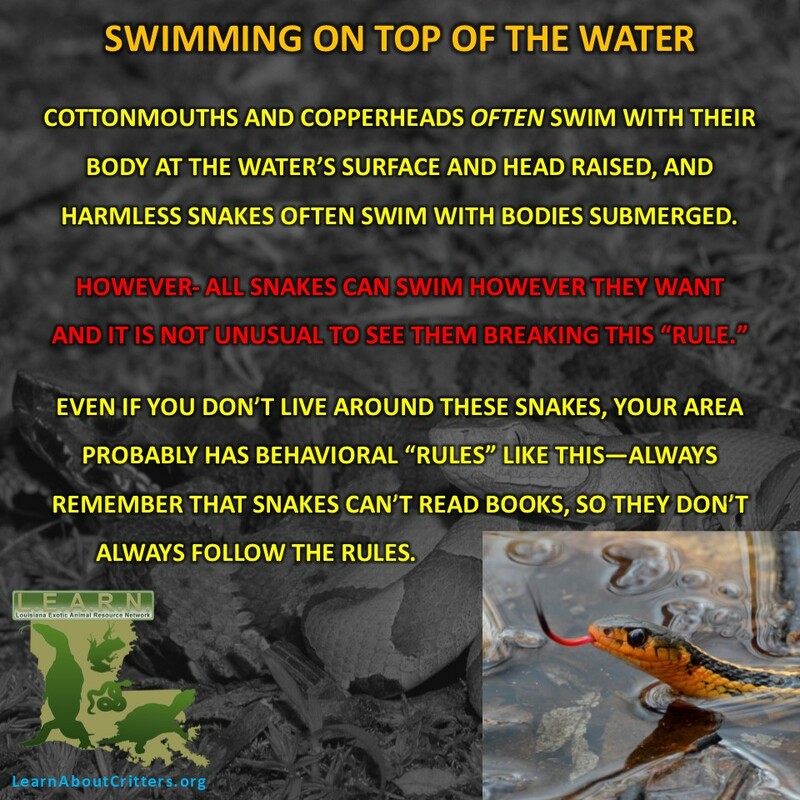 While vipers of the genus Agkistrodon (copperheads, cottonmouths) often swim with their body at the water’s surface and their head raised and harmless watersnakes usually swim with their bodies submerged, individuals sometimes swim atypically. 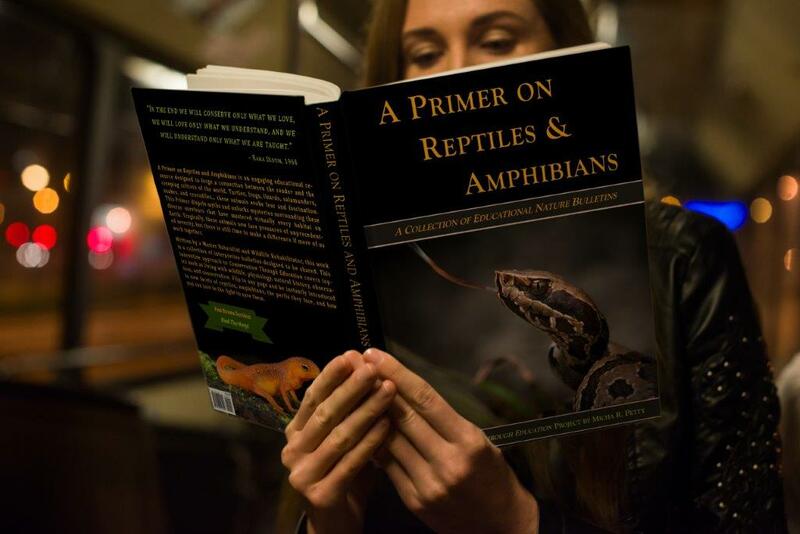 Other regions have similar behavioral rules—it should always be remembered that snakes cannot read books and not knowing the rules often results in animals deviating from them. Consider how you recognize someone you are familiar with—you simply know them when you see them, and “rules” play no part in that process. 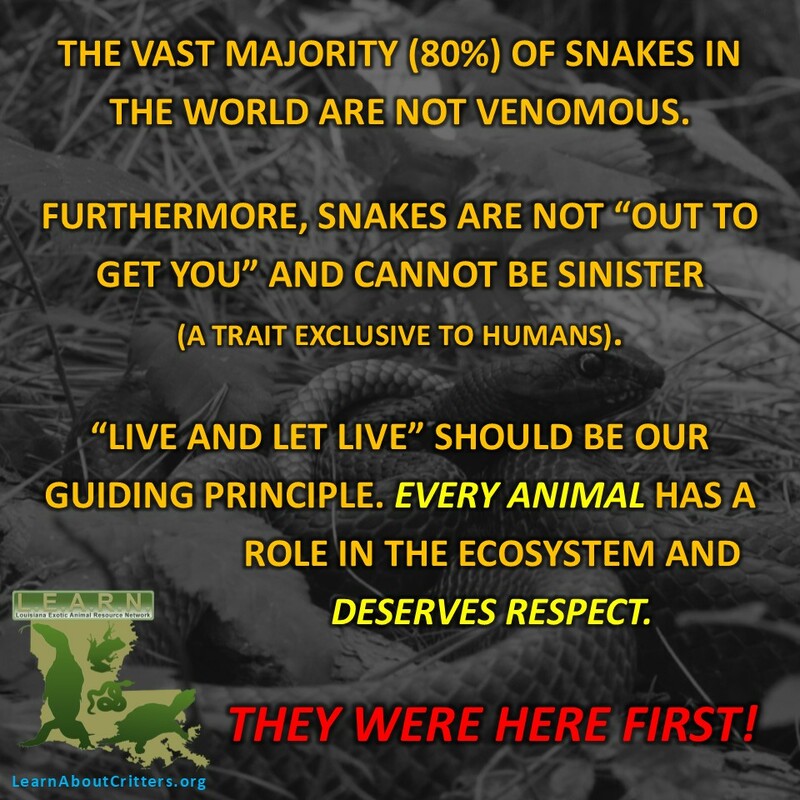 There really is no substitute for learning the appearance, habitat, and behavior of the snakes in your area. Devote some time to this simple task. This should be grade school knowledge alongside not playing with fire. 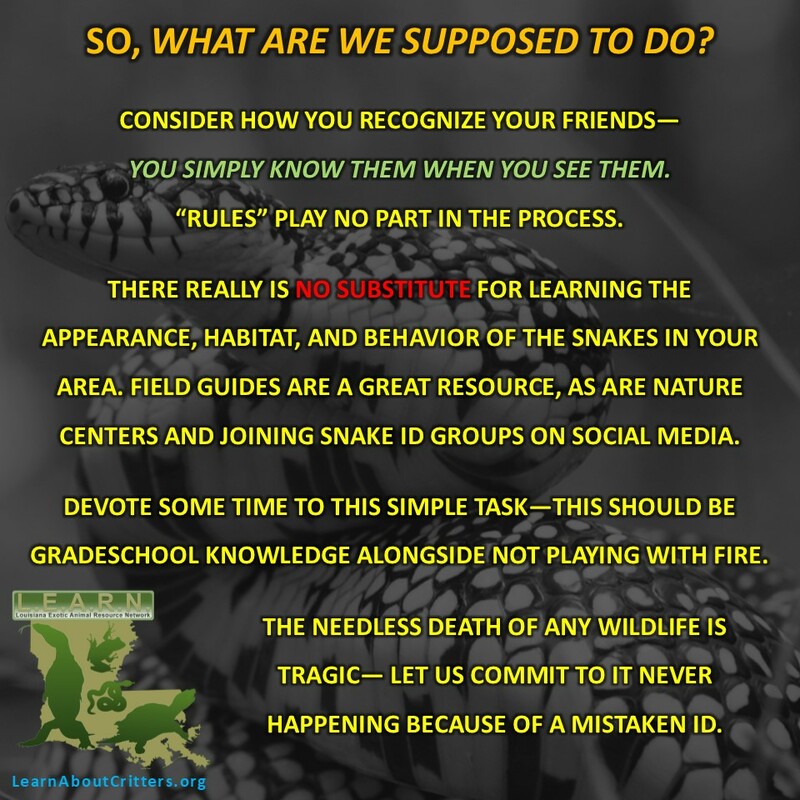 The needless death of any wildlife is tragic—let us commit to it never happening because of a mistaken ID. This pit viper has elliptical pupils (“cat eyes”) that appear rounded in low light. This is just one example of why relying on overly simplistic rules for a correct identification is not recommended.